The concept of this system was inspired by the design of one of our demonstration rooms before our re-fit. The neutral colour scheme of the room tastefully balances with the veneered board to frame the Pioneer television and PMC Wafer 1 on-wall speakers. LED lighting was fitted to the rear of the screen to enhance the picture contrast. 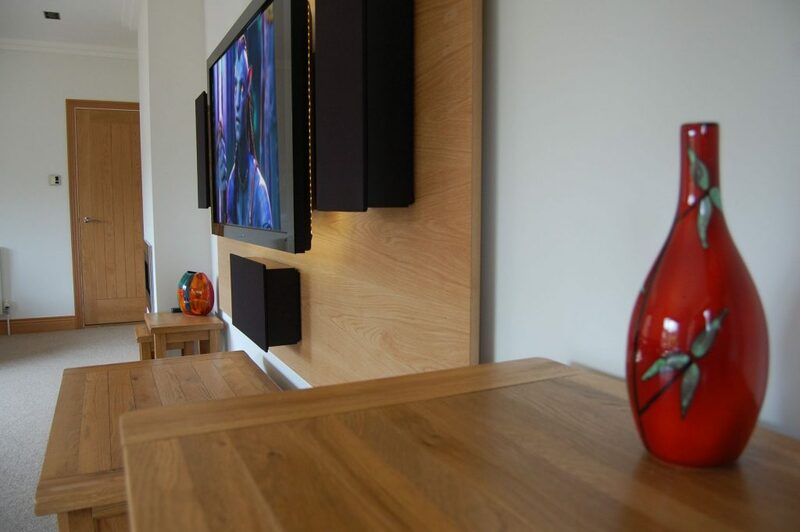 Our installation team gave careful consideration to the positioning of the television and front three speakers, mounting each product on the board with equal spacing between each of the four products and the outer edge of the board. The cabling structure was thoughtfully concealed prior to redecoration. The speakers are driven by the highly respected Anthem MRX300 AV Receiver and partnered with a REL subwoofer, plus an existing pair of Bowers & Wilkins on-wall rear speakers. 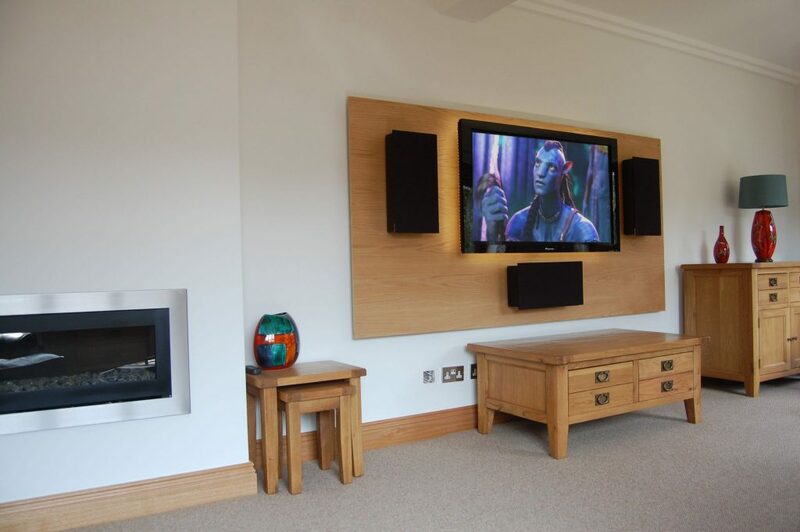 The in-depth Anthem Room Correction (ARC) harmonised the acoustic balance of the system, creating an enveloping home cinema experience with Hi-Fi performance to match.